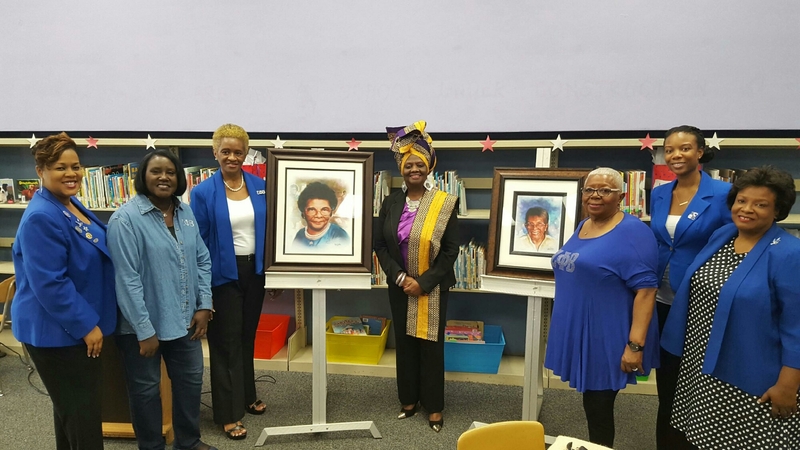 District 2 School News: School Board Member Dr. Dorothy Bendross-Mindingall (D-2) was honored to attend the Lenora B. Smith Portrait Presentation sponsored by Zeta Phi Beta Sorority, Inc. at the School named in her honor on January 24, 2017. Thanks to the Ladies of Zeta Phi Beta Sorority, Inc., former Principal Dr. Bryant, Local 10’s Neki Mohan, and community for recognizing our trailblazer. Special thanks to Principal Dalton, Asst. Principal Ms. Scott, teachers and staff for educating our incredible students who are “Anchored In Excellence”! Go Gators! Posted on January 24, 2017 by District 2 MDCPSPosted in School EventsTagged #MiamiSchools #MDCPS #LenoraBSmith #ZetaPhiBeta #Local10 #District2WorkingForYou #EveryChildMatters #EducationIsTheKey #SeeYouOnTheJourney.